ASTM A193 Alloy Steel Nut, Alloy Steel Bolt, Alloy Steel Coupling Nut Exporter, Suppliers of ASTM A193 Chrome Moly Hex Head Bolt Manufacturer in India. 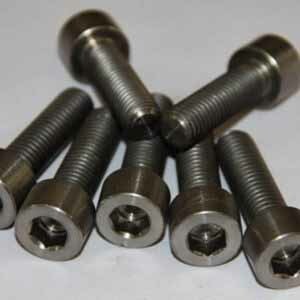 Alloy Steel Bolt, Chrome Moly Nuts, Alloy Steel Shoulder Nuts Suppliers and Exporters in Mumbai, India. Ganpat Industrial Corporation is one of the well-known exporters of Alloy Steel Grade Bolts / Nuts, which is highly used in commercial complexes. Chromium, vanadium, molybdenum, and tungsten in these Alloy Steel Grade Hex Head Bolts increase strength by forming second – phase carbides. Owing to years of industry experience and knowledge, we have been able to offer a supreme quality Alloy Steel Hex Head Nuts, which are provided on diverse specifications as per the demand of customers in a given time frame. Our professionals strive hard to provide best quality products to customers in wide range of these Alloy Steel Square Bolts, which is highly appreciated and available in the market at pocket suitable price. Alloy Steel Square Nuts find application in high stress applications, trusses, bridges, cranes, transport applications, ore skips, beer barrels and milk churns. We are also a leading manufacturer, trader and exporter of these Alloy Steel Eye Bolts, which is well known for its features like durability, sturdy construction and easy to operate. 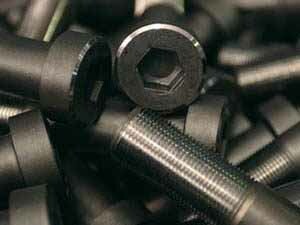 After finishing, Alloy Steel Eye Nuts are tested and inspected for pressure, temperature, weight. With consistent focus on quality, our company is engaged in offering a vast range of these Alloy Steel T-Bolts, which is being manufactured with precision utilizing top notch material & latest techniques following the industrial norms. Alloy Steel Eye bolts, Alloy Steel T Bolt, Alloy Steel Lag Bolt, Alloy Steel Lock Nut, A193 Alloy Steel U Bolt, Alloy Steel wing Nut, Alloy Steel Panel Nut, Alloy Steel Counter sunk Bolt Manufacturer in Mumbai, India. Type : Hex Head Bolts, Square Bolts, U bolts, Eye bolts, T bolt, Hex Bolt, Lag Bolts, Counter sunk Bolts, Hex Head nuts, Square nuts, Lock nuts, Eye nuts, wing nuts, T nuts, Panel Nuts, Coupling Nuts, Dome nuts, Acorn Nuts. We at GIC provide Manufacturer TC (Test Certificate) in accordance to EN 10204/3.1B, Raw Materials Certificate, 100% Radiography Test Report, Third Party Inspection Report. We also provide Standard certificates like EN 10204 3.1 and additional requirement like. NACE MR 01075. FERRIT CONTENT as per norms if requested by clients. We at Ganpat Industrial Corporation ensure that all our materials go through strict quality tests before dispatching them to our clients. Hong Kong, Ahvaz, Ranchi, Ahmedabad, Secunderabad, Abu Dhabi, Vadodara, Hanoi, Petaling Jaya, Chennai, Kanpur, Istanbul, Karachi, Pune, Singapore, Surat, Brisbane, Bogota, Jamshedpur, Moscow, Courbevoie, Navi Mumbai, Gurgaon, Gimhae-si, Lahore, Toronto, Sharjah, Kuwait City, Doha, Milan, New York, Ulsan, La Victoria, Atyrau, Ho Chi Minh City, Dammam, Chandigarh, Kuala Lumpur, Baroda, Lagos, Al Khobar, Noida, Mumbai, Muscat, Jeddah, Los Angeles, Geoje-si, Haryana, Madrid, Calgary, Montreal, Algiers, Houston, Howrah, London, Granada, Manama, Ernakulam, Edmonton, Busan, Ludhiana, Seoul, Rajkot, Cairo, Tehran, Mexico City, Faridabad, Hyderabad, Melbourne, Nagpur, Rio de Janeiro, Sydney, Bangkok, Bengaluru, Thane, Dubai, Port-of-Spain, Caracas, Aberdeen, Vung Tau, Thiruvananthapuram, Pimpri-Chinchwad, Nashik, Kolkata, Al Jubail, Chiyoda, Bhopal, Colombo, Jakarta, Perth, Ankara, Coimbatore, Dallas, Jaipur, New Delhi, Riyadh, Indore, Santiago, Visakhapatnam. Afghanistan, Jordan, Gabon, Algeria, Morocco, Hong Kong, Nigeria, Netherlands, India, Spain, South Korea, Slovakia, Qatar, Ireland, Italy, Lithuania, Mexico, Chile, Nigeria, Thailand, Serbia, Yemen, Azerbaijan, New Zealand, Gambia, Russia, South Africa, Bhutan, Sri Lanka, Romania, Tibet, Nepal, Hungary, Switzerland, Finland, Belgium, Vietnam, Poland, Bolivia, Malaysia, Saudi Arabia, Sweden, Lebanon, Iran, Israel, Iran, Egypt, Estonia, Ghana, Japan, Venezuela, Mongolia, Turkey, France, Canada, Germany, Oman, Peru, Puerto Rico, Taiwan, Czech Republic, Norway, Greece, China, Pakistan, Indonesia, Belarus, Zimbabwe, Denmark, Colombia, Philippines, Brazil, Bangladesh, United States, Singapore, Kenya, Kazakhstan, Ecuador, Macau, Poland, Angola, Bahrain, Libya, Austria, Portugal, Chile, United Arab Emirates, Trinidad & Tobago,Tunisia, Ukraine, Bulgaria, Argentina, Costa Rica, Kuwait, Iraq, Australia, Mexico, Namibia, Croatia, United Kingdom.